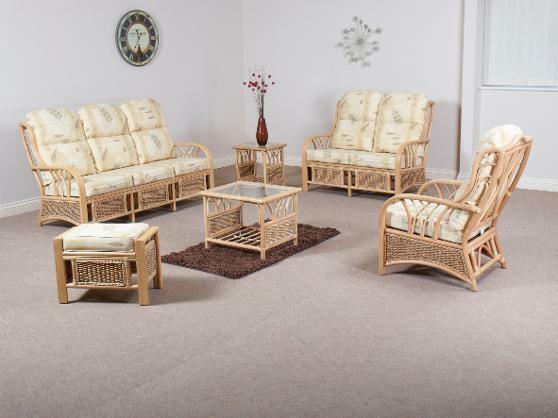 The New York range is a compact open Cane suite, with smooth arms for extra comfort. The traditional design offers a high back, along with thatched detail and bindings. Shown in NatWash finish with Tahoe Biscuit fabric.